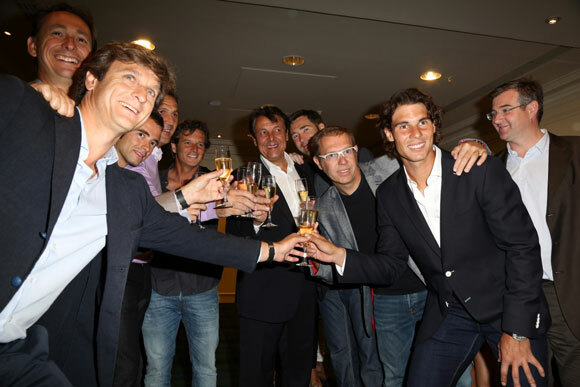 After his historic 7th win at Roland Garros, Nadal partied with his family, team, girlfriend and friends in Paris. They went to Café de La Paix, located at the InterContinental Paris Le Grand Hotel, which was Nadal's favorite hangout and dinner place for the past couple of weeks. Nadal posted on Facebook that they had a "great night". 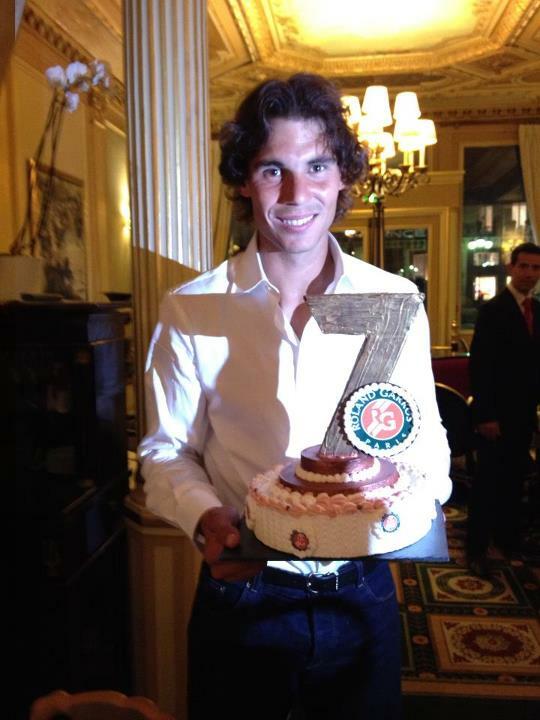 On Tuesday, the Majorcan left for Halle, Germany, where he will start his preparation for Wimbledon. 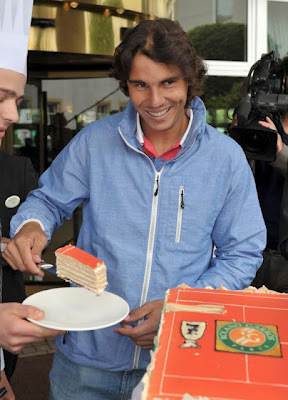 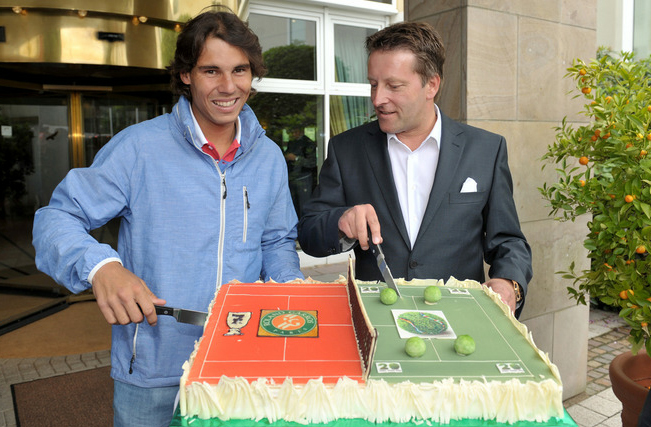 Upon arrival, he was welcomed by tournament director Ralf Weber who invited Nadal to cut and taste the awesome cake you can see in the pictures.